“Nothing is certain except death and taxes.” Benjamin Franklin’s famous quote is often repeated during the month of April. While taxes are at the forefront of many people’s minds this month, the focus of this post is on the former subject of Franklin’s quote rather than the latter. Sadly, over the past several months, I’ve had to say an earthly goodbye to three loved ones; close friends and extended family members. In the throes of grief and loss, we often experience a loved one’s funeral through a virtual blur, paying scant attention to details of the event including the casket. 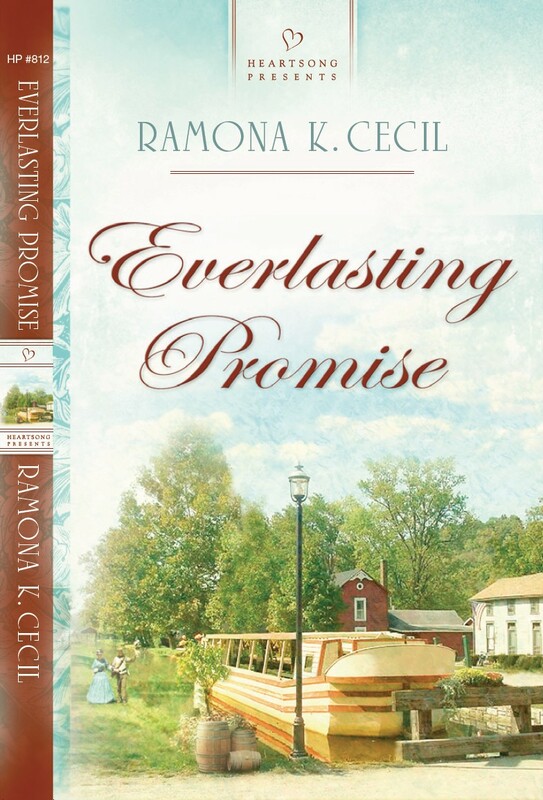 In my book Everlasting Promise, four-year-old Georgiana asks the hero, Thad, why they bury people in boxes. 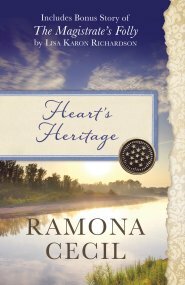 Thad tells her that the boxes are called “caskets,” and that burying people we love in them is a way of showing respect. The history of burying people in “boxes” goes back thousands of years. 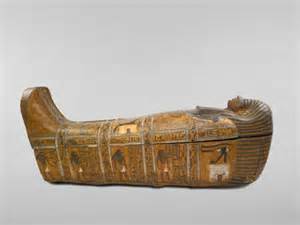 In ancient Egypt and Mesopotamia, burial receptacles were constructed of wood, cloth, and paper. Later, they were made of stone and those Sarcophaguses (or sarcophagi), can still be found worldwide. 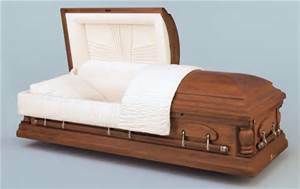 Coffins and caskets are generally made of wood, cloth, steel, and other materials. 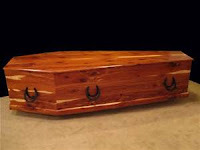 A distinction must be made between the terms “coffin” and “casket.” Any box used to bury the dead is considered a “coffin.” The word “casket,” originally used to describe a small jewelry box, came into use as the description of a funerary box in the 1830s. The word “coffin” is generally used to describe a six-sided burial container with one solid lid, while a casket is a four-sided coffin with a divided top. 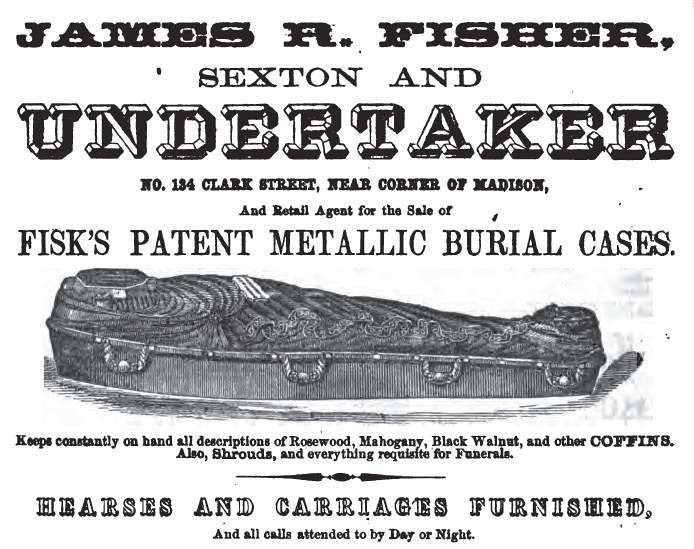 Steel began being used in caskets in the 1840s when Dr. Almond Fisk received a U.S. patent for a cast-iron casket with a sheet-glass lid for viewing the deceased. 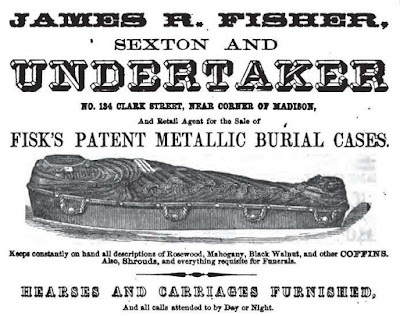 Until the Civil War, coffins/caskets were not mass produced, but generally part of furniture manufacturing. With the war, thousands of caskets were needed at once and the era of the mass-produced casket was launched. 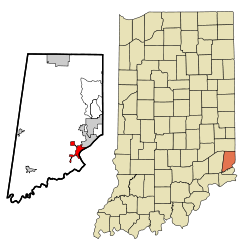 Since the late 1800s, my home state of Indiana—specifically southeastern Indiana—has come to dominate the casket manufacturing business. Some of the German furniture makers and artisans who settled there began making caskets in the 1880s. Wherever you live in the United States there is a good chance that most, if not all, of the caskets at your local mortuary were manufactured in Indiana. 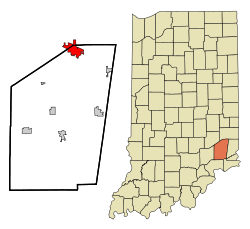 Two of the state's largest casket manufacturers are located in Batesville, Indiana and Aurora, Indiana. 1948, Batesville went back to making metal caskets. Today, Batesville Casket Company is the leading manufacturer of caskets in the United States with three factories in the U.S. and one in Mexico. The Aurora Casket Company began in 1890 with John Backman and his twenty-nine employees making caskets by hand. Acquired in 2015 by Matthews International, Aurora Casket is still based in Indiana, with factories throughout the U.S. and worldwide. 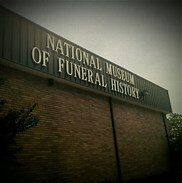 There is actually a National Museum of Funeral History in Houston, Texas! Who knew? There, many examples of Indiana caskets can be found alongside exotic and fantasy coffins from all over the world. Fascinating! Mourning customs the world over have always interested me. I suppose it's "in my blood" since my brother was a funeral director for all of his professional life. In fact, one of the most loving things he ever did for me was to help me with funeral plans when my husband died in 2001. How interesting. One thing I always noticed was that the Old West coffins looked simple by today's standards, and yet they featured 6 sides. 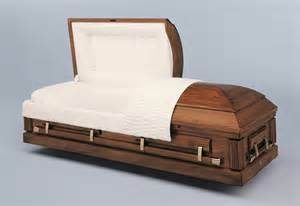 You need a skilled carpenter to be able to cut the correct angle to create this shape of coffin.